You won't want to miss our great deals at CellPhoneCases.com. Find chargers, carrying cases, and batteries for your Motorola Droid Ultra XT1080 all at bargain prices. 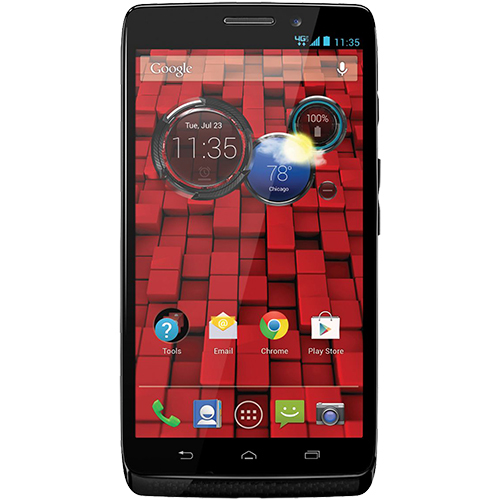 We carry a wide variety of Motorola Droid Ultra XT1080 accessories, including cell phone cases, holsters, snap-on covers, handsfrees, Bluetooth headsets, Bluetooth car kits, memory cards, AC / travel chargers, car chargers and FM transmitters. They come in various styles and designs to match your different needs and tastes. Get the best offers from CellPhoneCases.com now to save your money.